Ask CF: What Do I Wear to my On-Campus Job? Work it, girl… your job AND your outfit! I recently was hired to be an office assistant in one of the campus dorms (at Eastern Michigan University, no less!!). I’m super excited, but super stumped about what to wear that’s both comfortable and on trend for class, and appropriate for my dorm office job. I’m allowed to wear jeans and dresses, but I have to be “grandma appropriate” since I’ll be helping new students and their parents during move in. Any suggestions? First of all, congratulations on your new Office Assistant Position! My best friend was an OA when she lived in the dorms at Eastern, and she loved it! 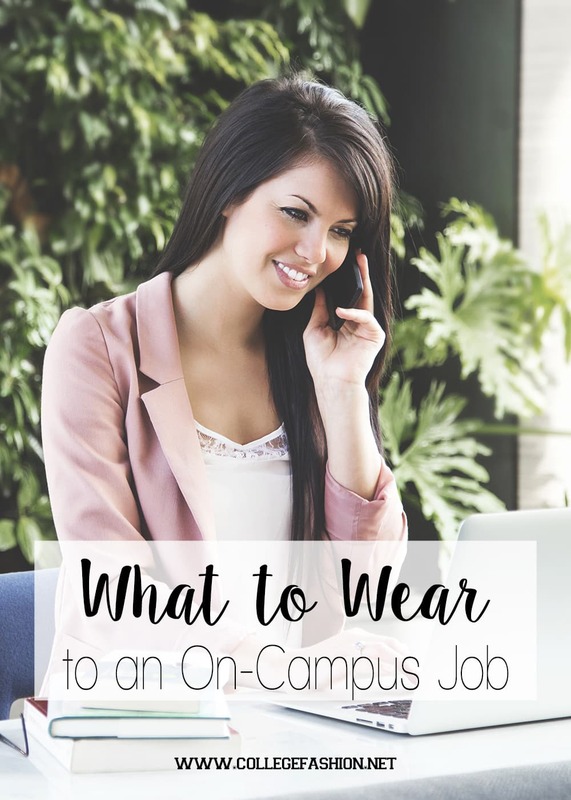 However, I do understand the confusion of what you should wear to an on-campus job. It’s tricky. You want to look somewhat professional, yet still like a student. Luckily OAs aren’t bound to business casual, so you have some leeway. My first tip would be to get some nice, button down shirts or chiffon tops in basic colors or prints. You can never go wrong wearing button-downs, because they are always worn in the workplace. And, always make sure your cleavage is covered, and button them appropriately. Also, investing in some cute flats and comfy boots should be mandatory. You’ll be sitting at this desk for a period of time, and you’ll be getting up and walking around your office, so the right shoes can make or break you. I’ve created 3 outfit ideas that you can easily wear to class, around campus, and your new on-campus job. Note: An OA job is typically much more casual than the average office job, so these outfits reflect the dressed-down environment and may not be appropriate for other office settings. For more formal office outfit ideas, see our business casual section. 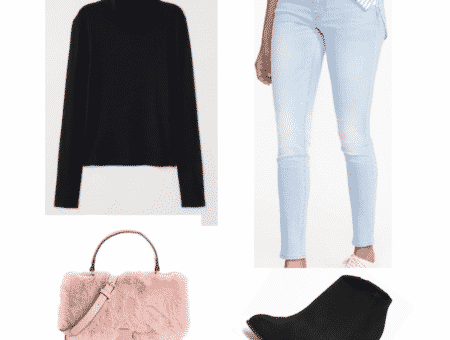 This outfit is perfect for your typical on-campus job because it’s cool and casual. The flannel can button up high enough to look professional, and to loosen up the look, you can unbutton it and wear your basic white tee underneath it. Pair this with your favorite skinnies and some cute combat boots. Add a boho fringe bag to store your money, student ID, and emergency items. Honestly, there are some days where you are so busy that choosing an outfit literally can’t take more than 5 minutes. This look is for those crazy days. 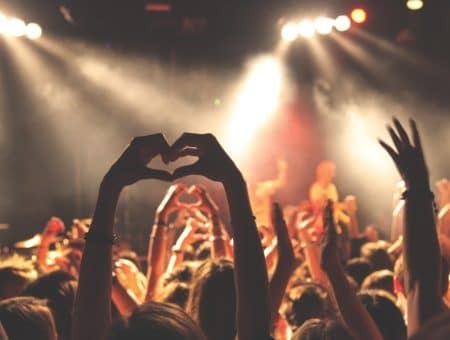 Wear your favorite comfy t-shirt with a pair of your slim khakis, and then accessorize it up to make it more professional. Layer necklaces and bangles to finish it off. Finally, throw on your cute flats. This look is so simple, but very professional at the same time. It’s the most formal of the three and would be more suited to a typical office environment. 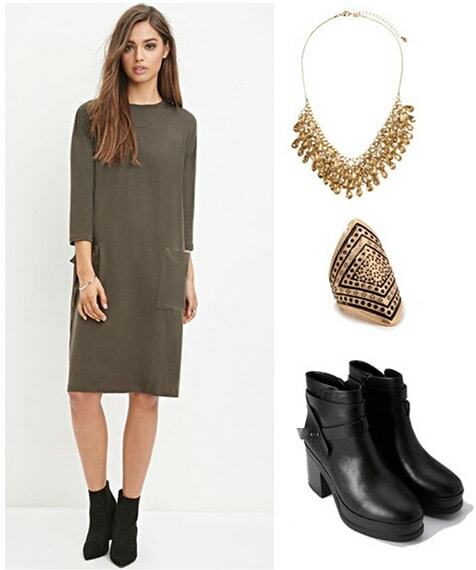 Wear a knee length T-shirt dress with some cute booties. Make sure the dress is long enough and that you wear some boy shorts or Spanx underneath for a seamless, appropriate look. Add on some gold statement jewelry, and you’ll be set for your shift. Do you have an on-campus job? 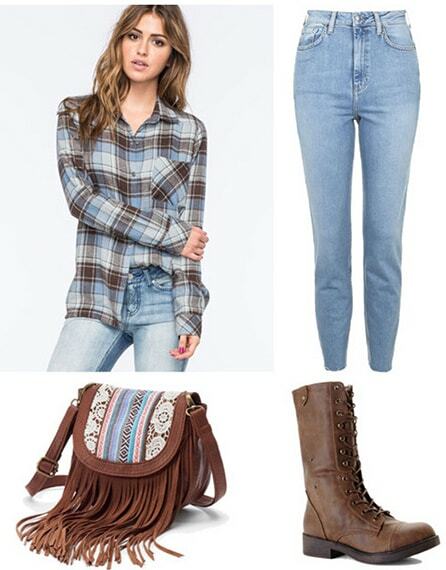 Did you like these outfit ideas? Let us know in the comments!